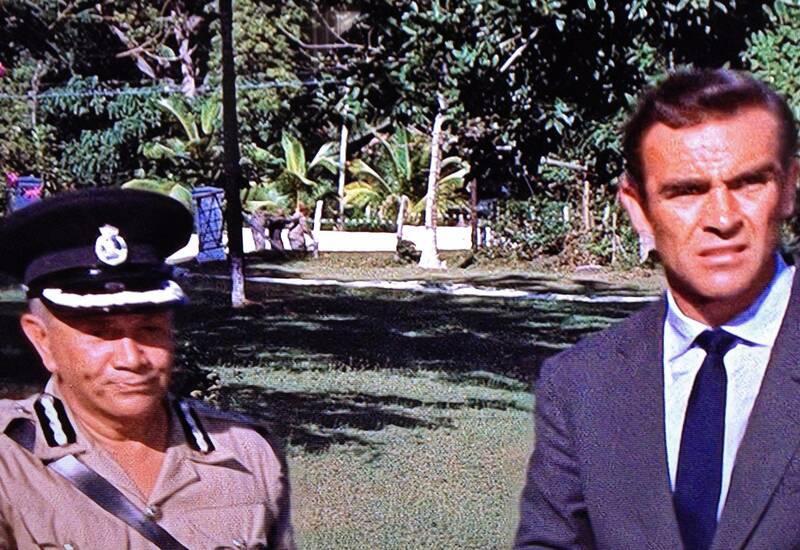 I was just watching Dr.No earlier today, when I noticed two things so far that I've never noticed before. And I've seen Dr.No countless times. The first is Bond slipping the doorman a tip as he leaves Le Cercle as he's called away from the casino. The second is The Three Blind mice in the background as Bond and the Super-Intendant arrive at Strangways house. You can see them walking past from the top left of the screen. Never noticed these before. I'll watch the rest of the film later and see if there are any other little things I've missed. So what scenes or little pieces in the back ground have you only just discovered? Great idea for a thread. I know this has happened to me as well, but I can't recall the specifics now. Next time I go through the series (which will be soon) I'll take note. Good idea for a thread indeed. I'd never noticed Wint and Kidd pressing at the flowers in the Memorial at Slumbers Inc before until about last year. I think I was focusing so much on what Bond was doing that I missed it. This is indeed a great idea for a thread. I'll be looking at each film in the series with fresh eyes for a while now, and DN will be first up! Great idea for a thread dear @Benny. 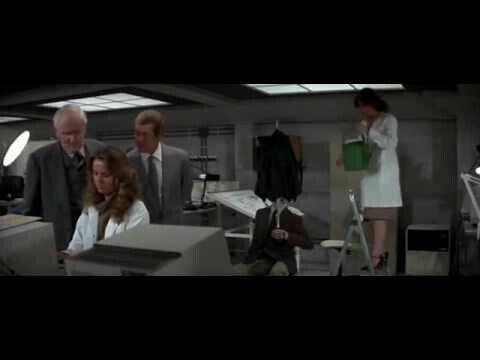 I watched DAF a couple of days ago, and I noticed something - when Bond and Q are talking about the fake fingerprints, via telephone, the Aston Martin DBS is in the background, to the left I think, in Q's lab. In Skyfall, when Silva walks out of the courtroom as its filled with smoke, he casually shoots someone standing by the doorway. Its hilarious, he doesn't even look at him or stop moving. When in Q lab, the minor character Smithers has a weaponized cast on his arm that breaks away to melee a foe. His real arm is revealed underneath, but it doesn't appear to be the actor's actual arm. It looks disjointed and you can see the actor portraying Smithers move his right shoulder afterwards that moves the cast. It completely baffled me last night! In the office briefing scene Bond hastily takes out his lighter to offer it to M, but M ignores the gesture... it is a very interesting & subtle way for the director to show 007's deference to his boss. Tells you a lot about their relationship as well. It looks as if there is a hole in the whiteboard, with somebody else's arm doubling for Smithers! With another actor's arm as Smithers's right arm ? Wow, I've also never noticed the lighter offer to M that gets ignored. It's amazing to think that we've all seen these films countless times, yet there are still instances of finding something new in them. I've finished Dr.No, and look forward to going back through them to see if any more unseen scenes can be found. Just speaking of the Bond / M scene in Dr.No, it's such a great scene. It's longer than most of the later scenes would become, and you really get a sense of respect in the way they address one another. It doesn't feel hurried, and the two men move around the office without remaining in one spot as also would happen with the later movies. Generally M sitting whilst Bond received his orders. Having finished Dr.No, I find unlike some of the films, the more I view it, the more I like it. It's a film that if someone asked me to watch it again now, it wouldn't be a chore. It would be a real pleasure. I really am not seeing the Three Blind Mice in the background. I see some shadows, but nothing conclusive. Rather like a photo of Big Foot. I watched it last night and I saw them clear as all Hell. get the restored Blu-Ray. Ill do that right after I buy a blu ray player. I didn't know Hell was clear. I thought it had more of a reddish hue. You can see them between Bond and the Superintendent here. The Superintendent actually clocks them just prior to this shot. ^ A very interesting detail that. I suppose it supplements the scene where they try to shoot Bond but are stopped from doing so by a passing car. I think that, more importantly, it also helps to show the all-pervasive influence of the agents of Dr. No (long before the main villain is seen) in the film. I think @DrGorner has a point here. It seems they did need a place to put the spring in or something. It clearly isn't his right hand, but he does put his left hand over it as if it is. Sure, the context was different, but certainly one inspired the other. Loved both scenes. Something about Bond drawing his weapon in a fancy hotel in a tux with an attractive woman next to him. Am going to see Dr No on the big screen on Sunday, in a 4K presentation. Will keep an eye-out for the three blind mice, not noticed that before, most of the other stuff had picked up on. Great thread by the way. I noticed something for the first time watching FROM RUSSIA WITH LOVE last night. When Bond and Grant are having their first conversation on the train, Grant says, "I know this are like the back of my hand." Grant then looks down at the back of his hand, then Bond seems to look down at the back of Grant's hand, as well. Odd. Actually that is exactly what went through my mind when I saw CR in the cinema back in 2006... "this feels like Timbo in LTK"